On the eve of the 2014-15 upfront, Turner Broadcasting System has begun making sweeping changes in the structure of its ad sales unit, and as a result, one well-respected veteran will be leaving the company. In an internal memo circulated this morning, Turner president David Levy said he would integrate the company’s TV and digital ad sales/marketing functions, thereby streamlining the transactional process. 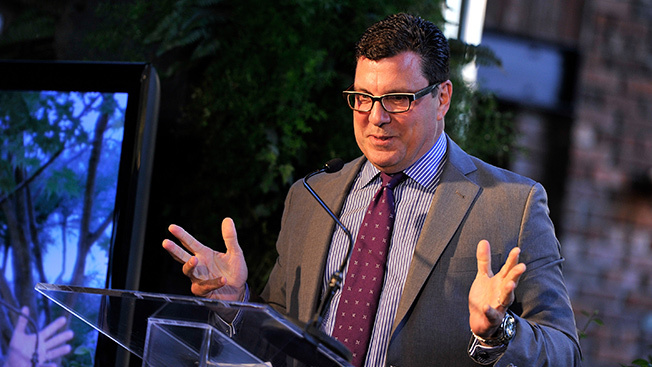 With the implementation of the new sales structure, which will see Donna Speciale rise to the position of president of Turner Broadcasting ad sales, longtime CNN sales chief Greg D’Alba will be leaving the company after nearly 28 years. In her expanded role, Speciale will oversee ad sales for all of Turner’s domestic TV and digital entertainment, news, kids and young adult brands, a portfolio that includes TNT, TBS, truTV, CNN, Adult Swim and Cartoon Network and their respective online extensions and platforms. D’Alba had added oversight of digital sales to his manifest in January 2012. Speciale joined Turner in 2012 from MediaVest, where she had served as president, investment and activation and agency operations. As a media buyer, her top clients included the likes of Coca-Cola, Kraft, Mars, Procter & Gamble and Walmart. Sports media and Bleacher Report will remain a self-contained entity sold independently from the other Turner properties. Jon Diament, evp of Turner Sports ad sales and marketing, leads that unit. Levy’s memo would seem to put the lie to an item in a New York Post gossip column having to do with D’Alba’s imminent departure. The Page Six entry, which quoted a single, anonymous source, suggested that D’Alba was leaving because he was frustrated by his dealings with CNN Worldwide president Jeff Zucker. The restructuring will allow Turner to “provide more cohesive support” to its advertising partners, which in turn will help clients “meet their business goals and objectives,” Levy wrote.